It’s been 3 days, 3 days and countless hours that I’ve lived in constant torture. I’ve been consumed with the thought of Fudge; good old milky, creamy fudge. I had 15 pieces of delectable fudge; its smooth texture and sweet caramel flavor was all I could think of. I had no intention of eating the entire batch myself but what was a girl to do? The longer it sat, meant the longer I would cheat on my diet. I was not about to let that happen, so in a desperate bid I ate the remaining 6 pieces in one day. Don’t judge me, I had to do it. Do yourself a favor and make these…unless you’re on a diet, then don’t. Trust me! Use a wider pot such as a 12 inch pot, this will reduce the cooking time. Make sure the sugar has melted completely before bringing to a boil. Use low to medium heat, do not use high heat or the sugar will burn. Stir, stir, stir and do not step away from the fudge as it burns quickly. Think ahead by having a cup of cold water ready, prep the pan and have all necessary utensils nearby. 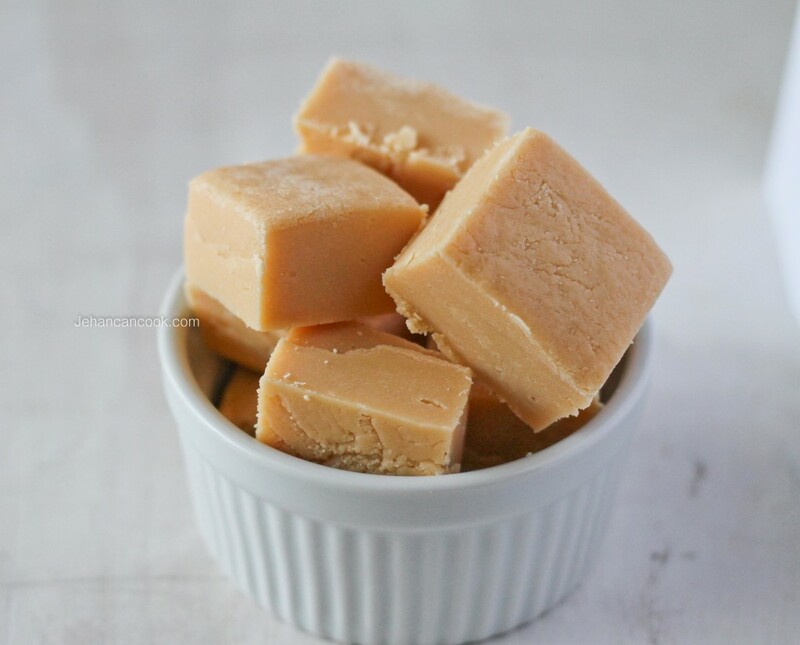 Vanilla Fudge 12 oz evaporated milk 2 cup sugar 1 tbsp butter Line a loaf pan with parchment paper and set aside. Place milk, sugar and butter in a heavy bottom sauce pan over medium to low heat and melt sugar while stirring,about 10 mins. Next bring to a boil. Allow the fudge to simmer for about 10 minutes while stirring constantly. Test the fudge to by dropping a teaspoonful it in a cup of cold water to see if it has reached soft boil stage. If a soft boil forms then remove from heat. Beat vigorously until the fudge has thickened, this should take about 10 minutes. When the fudge becomes thick and pour into prepared pan and smooth. Allow to cool before cutting into pieces. My husband would love me forever if I made this! Too bad we are all trying to drop a few pounds. I’m sure I’m going to make it anyway. Guess I will be jogging a few more miles! Yes, I had to work a bit harder at the gym. 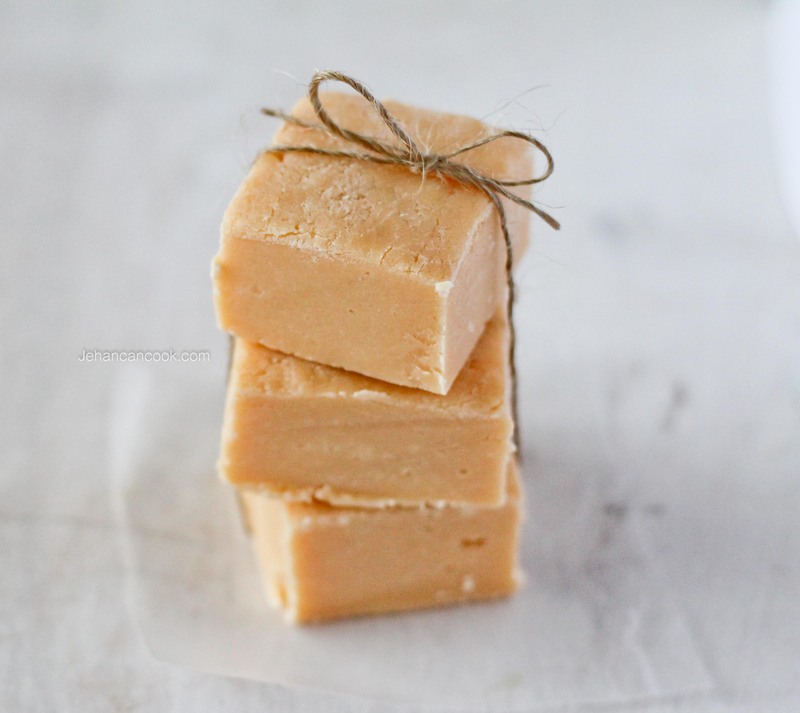 Every Friday night growing up my Mom made fudge, slightly similar to this recipe. But had cocoa and peanut butter added. We also made lots of popcorn to accompany the sweet fudge. Try it sometime, you’ll never want fudge w/out popcorn again! Stirring is key. You always end up with carpel tunnel! 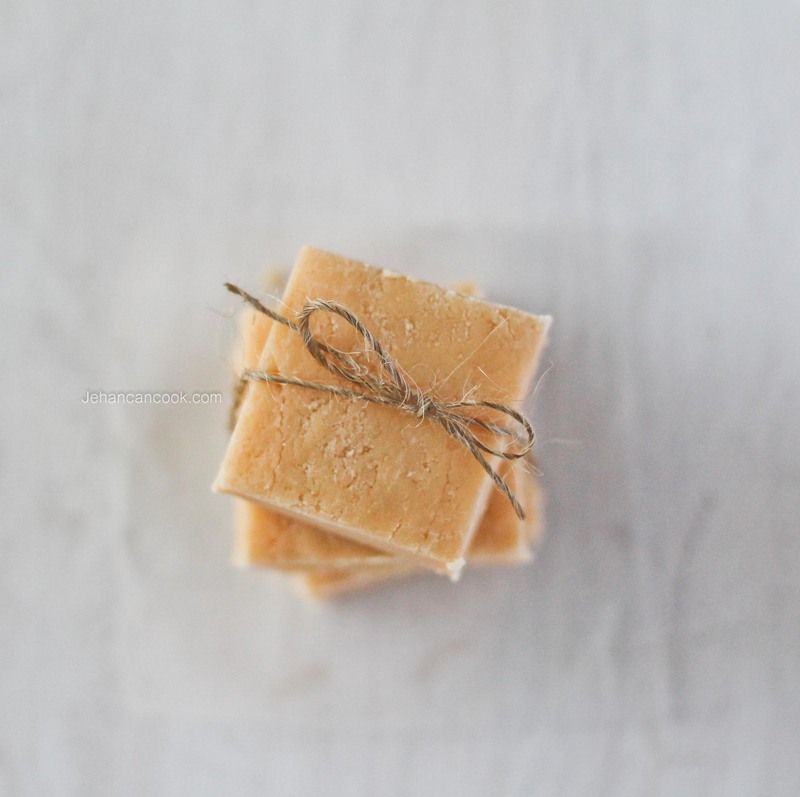 Now that you have your method down, you’ll probably end up making all kinds of fudge. Nicole I love the salty and sweet combination so I can see how that would work. Oh yes! I’m already writing down ideas for different flavors. Much easier on your wrists is the electric hand mixer. Beat the mixture until the blades come away with little “pimples”. Then you pour it onto the pan and leave to cool. Perfect every time. Myrna, I’ve heard of using an electric hand mixer but have yet to try that technique. I will give it a try the next time. Lu, you probably need to cook the mixture longer. Would it affect the texture of the fudge if I were to use half the amount of sugar? And if I would like to add flavoring at what stage should I do so? Tracey, I don’t have any idea how to convert this recipe using powdered milk since I haven’t tried it with powdered milk. I will say that if you are trying to make the white fudge the ingredients are different as is the method. Hi jehan,during boiling time do I stir vigorously or calmly to make sure the sugar doesn’t burn, can I also use golden caster sugar instead ? Would love to hear back ! Anna, I haven’t tested it with golden caster sugar so I can’t tell you how it will affect the fudge. Stir the fudge at a normal rate. Not vigorously. Do you know how to make it with powdered milk?? I have been experimenting with that version but haven’t perfected it as yet. When I do, I will definitely share it. Steve I should be a bit more clear, sorry about that. Just drop a small drop of the fudge into water.